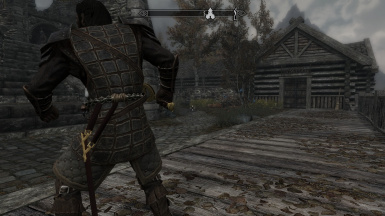 This mods adds a new sword called Herugrim to Skyrim, the sword of King Theoden from Rohan. 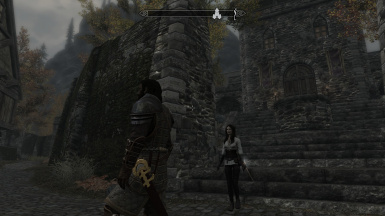 Hey there, this is my first Skyrim-mod. 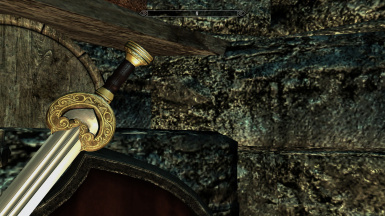 It adds the sword of King Theoden, Herugrim, from Lord of the Rings to Skyrim. You can find it at the blacksmith under 'Steel' . 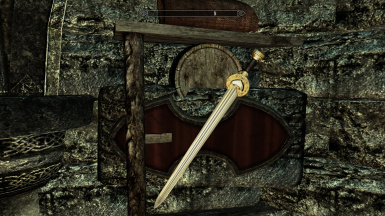 It is craftable and received a scabbard. 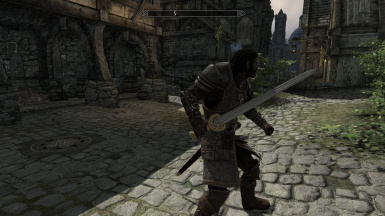 The sword has nearly the same stats as the daedric sword, not overpowerd. Since it is a cavalry sword, it is only one-handed. Model and textures made all by me from scratch. Many thanks to MorannMackay and Smike for presenting my sword on their Youtube channels! Note: the weapon-preview-size is now fixed. Just unpack the archive and place the 'Herugrim.bsa' and 'Herugrim.esp' in your Skyrim 'Data' folder and activate it.